Several Pre-Hispanic societies would sail through rough waters to the Gulf of Guayaquil in search of the Spondylus shell because these apparently simple shells are charged with symbolic powers since Pre-Columbian times. Two species of this beautiful red spiny shell thrive under the seas of the Gulf of Guayaquil, Esmeraldas and Isla de la Plata and Salango area. When different civilization learnt about metals, they started the usage of the same in various manners. Silver, among these metals, was considered as an important one, ever since its discovery. The malleability and ductility of the metal helped early civilization to make silver jewelry of different types. The handmade jewelries crafted in the ancient days reflected the culture and tradition of that time. Though it is common to see machine made jewelries these days, nothing compares to handmade jewelry of silver. Whilst the design of silver jewelry has undergone vast changes, its popularity has never been affected. In fact, the demand for silver jewelry is stronger than ever, especially handmade bracelets, beads, necklaces and charms. Silver jewelry has enhanced the beauty of women across the world for ages. The shine of this precious metal has always ensured its huge demand among women of all ages and status. Silver necklaces and silver jewelries with stones are a popular choice among women who want to decorate themselves in a beautiful manner. Handcrafted jewelry made of silver can also be an excellent gift for women. In fact, silver jewelry suits almost every occasion and every woman. Lightweight, trendy silver jewelries are used by women for regular wear. 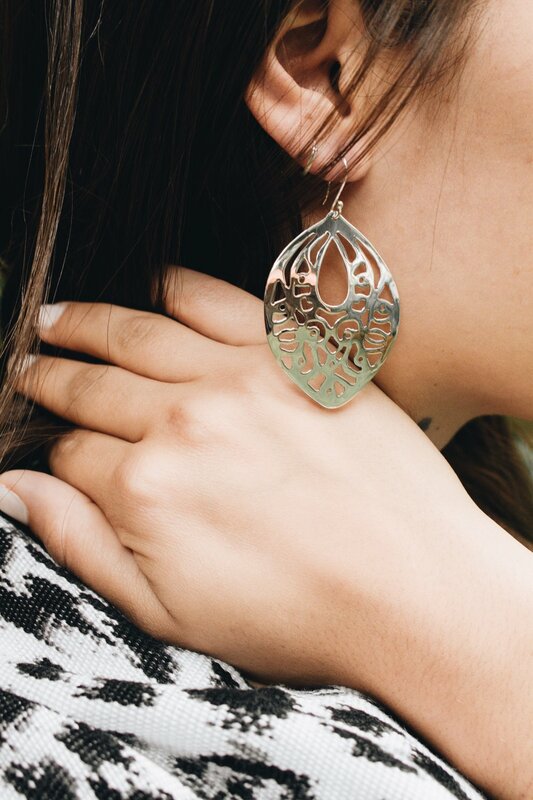 Artisan jewelry made of silver are in demand among the young college goers as well as professionals who want to make a style statement of their own. In our store in Quito you can find an abundance of traditional as well as trendy silver jewelry. We are convinced that by visiting us you will find a great piece of silver jewelry which makes you or your beloved one even prettier.